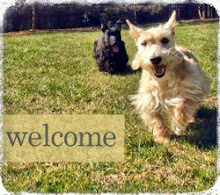 It’s BlogPaws’ Wordless Wednesday…you know what that means: time to caption the Scottie! Here, Scottie Mom interrupted Mr. K's play time (or should we say toy destroy time?) by snapping a picture. Mr. K may not be saying much this Wordless Wednesday but he’s certainly delivering a message with this look. What is Mr. K thinking and why do you think he gave this look to Scottie Mom? "Take the ball....I DARE you"
Don't anyone touch this ball. It's MINE! Siiiiiigh. Mom stop taking pictures and play with me! It's my ball and don't you even think about taking it! Look at those eyes calling SOMEONE to play. 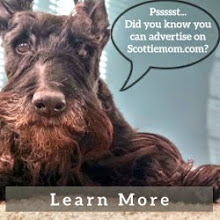 Your Scottie has such an expressive face. I hope you threw him the ball after you took the picture? Oops! My profile showed I was dropping by to say hello from the wrong blog. I popping by to say hi from Lessons From A Paralyzed Dog. Oh? Did you want this back or something? Somebody REALLY really wants to play! I hope you have more of these - because I'm going to destroy this one. Such a sweetie! The eyes say everything! Anyone for tennis? Have a tremendous Thursday. Come on, let’s DO something! "You're not getting any more of my balls!" "MOM.......See My Stink Eye......Go Away"
Love, love, love this picture! Mine, Mine, Mine, and more mine! Touch at your own risk. 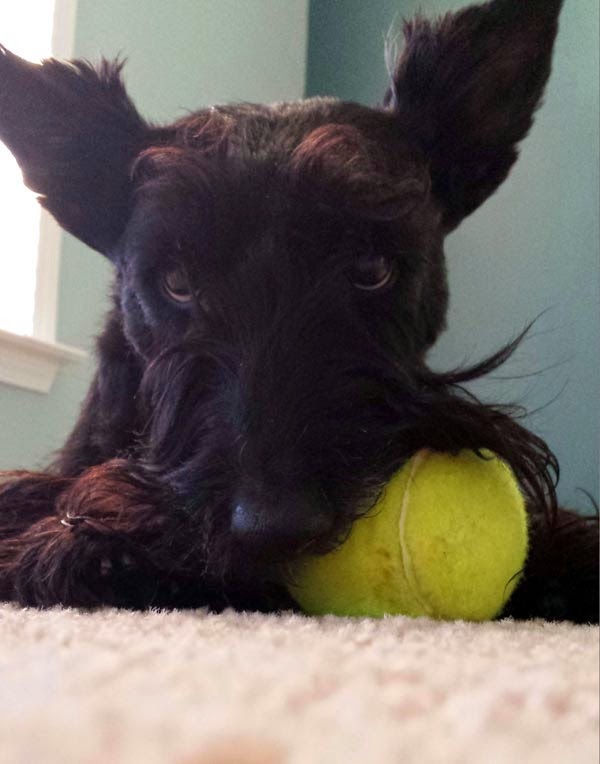 Love you like a Scottie! Where did all the white stuff go?